remnants of a once majestic breakwater that extended several hundred feet from shore. The breakwater offered protection to the businesses and houses of the Burke families positioned on the hillside behind it and served to break the southerly waves which frequently find their way deep into the harbour. The western side is defined by a craggy headland, a natural breakwater, which also offers a degree of protection. It was behind this protection that the Power and Fudge families lived in recent memory. Today there are fewer people living in St. Jacques and more empty space between many of the houses. No one lives at the entrance to the harbour any more. Each year fewer residents remain who witnessed the glow of kerosene lamps emitting their warm amber glow through kitchen windows after the fall of darkness. At the same time the little community is holding its own with new families lighting new lamps and renewing the lives of older houses, former residents returning after retirement and people moving in from other communities nearby. This year, though, we shall miss the last light at the end of the harbour. 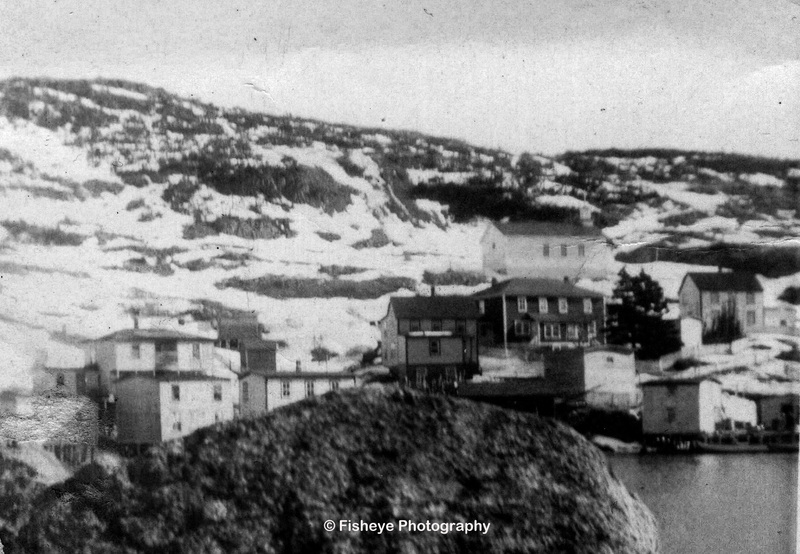 Alice Farrell`s arrival in St. Jacques was probably her first trip away from the security and comfort of her home in Bay du Nord. As the Bar Haven rounded Eastern Point and passed by the breakwater, giving it a respectful distance because of the shoal waters nearby, the schoolhouse, a brilliantly white single story building on the hillside above the old Sacred Heart Church, seemed to wink at her. 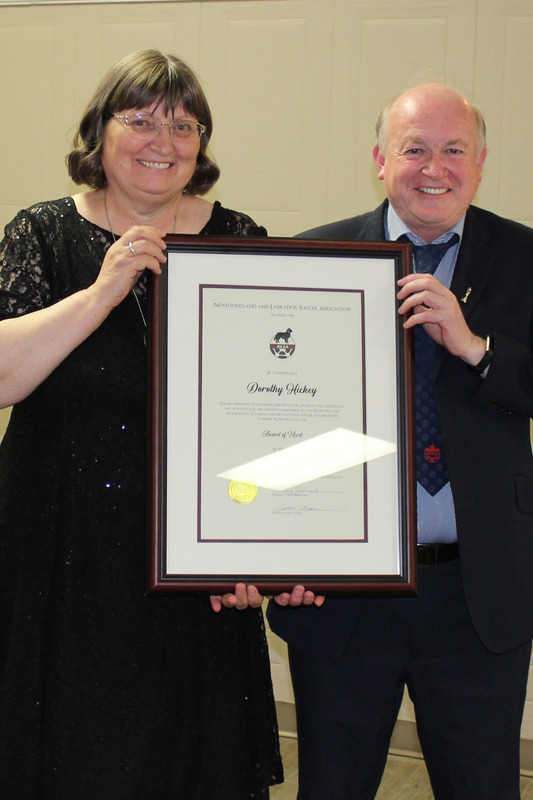 Here she was, the daughter of one of the patriarchs of Bay du Nord, a man known throughout Fortune Bay and beyond for his leadership and teaching skills, Teacher Tom. That affectionate title served to not only help distinguish him from the three other Tom Farrell’s in the town, Red Tom, Black Tom and Long Tom, but to afford him respect for his role and contribution to the lives of all its residents. That afternoon she didn`t know that the rest of her life would unfold near the shadow of that old church and that the light from her living room window would be the last light on the eastern side of the harbour for several years. The arrival of any young woman in town, especially a new school teacher, was bound to raise the interests of young gentlemen and the day Alice stepped onto the wharf one young man named Fred smiled inwardly and nervously looked her way, thinking he had never seen anyone as lovely before; not in his years working on the Andrews Air Force base in Argentia or in Buchans where he had just started a new job. Whether Alice noticed him or not we don`t know; however, we do know they found the love of their lives in each other and were to spend over fifty years together in the neighbourhood near the end of the harbour. Like many partners in marriage the relationship goes beyond that which we see as visitors or extended family and is known only to children and even at that is known differently depending on the age and birth order for all relationships change and blossom in different ways over time. Fred was a storyteller who loved to sit on his straight-back chair at the end of the kitchen table and engage every visitor who crossed his threshold in a yarn and a laugh. Alice would sometimes sit on whatever chair was empty during those visits; however, as often as not, she would stand and move in the magic triangle between the stove, the fridge and the door to the living room. She wasn`t shy about injecting herself into a conversation or offering her personal take on the topic under discussion though she didn`t do it at the expense of Fred`s engagement. Such was their relationship. The house where Alice spent her last years wasn`t their matrimonial home though it was less than a stone`s throw away from it. When Fred and Alice married they bought a huge two-story house poised atop the hill guarding the roadway which led to Burkes Cove. The house had previously been lived in by the family of Anthony J Burke, better known to townsfolk as Tony Burke, whose family had moved to St. John`s a few years earlier. If you drive to the end of the road on the eastern side of the harbour and turn around, you will drive in an almost complete circle through where that house once stood. A stately, imposing structure it was, with high ceilings and spacious rooms and a sturdy staircase rising from the front entrance to the second floor. A small bridge near the rear was used to gain access to the back porch which was the usual means of entry for everyone. Beyond that door was a bench where Alice made sure the water buckets were full of fresh drinking water, carried daily from the well. In the kitchen she could sit at the end of the table, look to her left and observe the to and fro of marine traffic in the harbour. 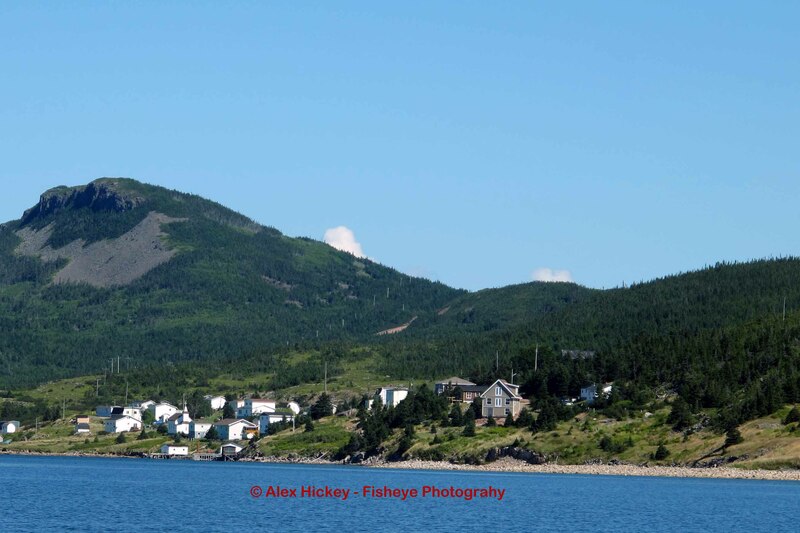 A window on the front gave her an unobstructed panorama of the harbour including the area below the hill where she could watch Fred`s dory approach his fishing stage. It was a big but cold house that, when built, met every criteria of good construction when the accepted standard for winter heating was nowhere near the expectations of Alice and Fred`s generation. Insulation was not part of the construction plan. When the house next to them became available due to its owners Joe and Veronica Earle moving to Terrenceville to be near their daughter, Fred and Alice bought it and moved the family next door. The old house was demolished and her view out the Bay restored. In a few years the old Sacred Heart Church was also demolished and her panoramic view of the harbour restored. Alice was a fixture in the living room window, her observation deck for all that happened around her. In later years she had her telephone located near that window and when in conversation found the window ledge a most convenient place to rest her arms. I recall, when I was a small child, there were near daily treks out the road, up over Clinton`s Hill, past Mr. St. Croix`s empty house, past the McEvoy`s vacant house, along the carefully constructed rock walls which lined the road above Joe and Bessie McCarthy`s house to Pat and Patricia`s then a final leg past the church to Alice`s house. I`m not sure if it was the smell of freshly baked bread that lured me in that direction or the welcoming atmosphere I felt in her presence. When I lived in St. Jacques a nightly walk would result in turning around to walk back home once I reached the light shining from Alice`s window. After I moved away each visit home meant at least one stop to sit and chat with Fred and Alice; to catch up on family news, the latest events in the fishery, to get answers to my many questions about the people they knew during their early years together and the older generations they had encountered along their way. If the light was on over the door, that was an open invitation to come inside for a visit. Some years ago when the municipality, out of fiscal restraint, reduced the number of street lights in the town Fred decided to install his own light which was visible from all around the harbour. The light at Alice`s house now illuminated her neighbourhood at night. By then they were back to the two of them sharing the house. All of the children had moved out gradually until one day they probably looked at each other and wondered where all of the time had gone. It is said that this is the point in the life of a married couple where they get to know each other again. The intervening years between the first child and now were defined by raising children and working for a living; the things that too frequently keep us busy until there is no time left. Alice Farrell could look back over her life in St. Jacques and see a parade of children come and go through her doors. 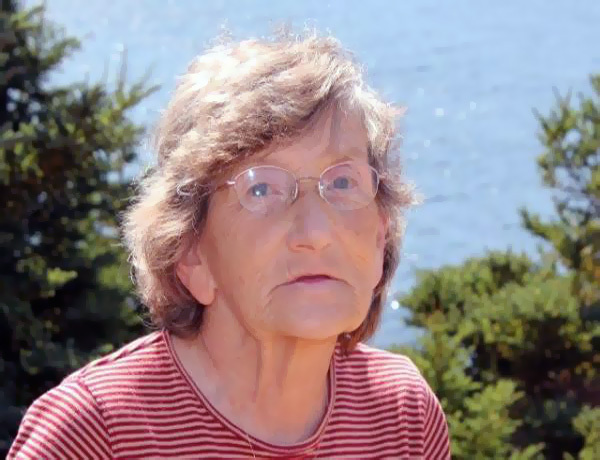 She could place her finger on a calendar and show you the date and time that her parents, Uncle Jack Farrell, his wife Winifred and Win’s sister Genevieve moved to St. Jacques as well as when the last person left her home community of Bay du Nord when it was resettled. That calendar also showed when her father and mother moved again; this time to Sydney, Nova Scotia. Written on it as well was the date her sister Patricia married Fred`s brother Pat, in whose house she stayed when first arriving on the Bar Haven. She could, at a glance, tell you the events of her first day as a teacher in the one-room, all-grade, Sacred Heart School and of the day she and Fred were married. Christmas is a special time of year in most parts of the world and no less so in a small community on the north side of Fortune Bay. There are social rituals which grow over time and are sorely missed when broken. One of these is a visit to Aunt Alice who, in childhood days, always cajoled each of us into eating a large slice of dark, moist fruitcake with a crust of snow white icing along one edge and across the top. Portions of dark molasses, cloves, nutmeg, raisins, currants, red and green cherries as well as a healthy sprinkling of mixed peel combined under her fingertips to create a magical food that always defied description; however, if one should mention Aunt Alice’s Christmas Cake in the company of her extended family everyone would fully appreciate the almost religious feeling we all had for those cakes. As adults we also appreciated the pride she felt at being able to create such delight among us. That delight carried on to her sharing of artifacts that stood in for Fred in the years after his departure; to the subtle ways in which she kept his presence in her kitchen and in the way she welcomed you into the house anytime you had the time to visit. Though it could be lonely to live in a house at the end of the road it also meant that when you saw someone approaching there was little likelihood that they would be going somewhere else. This Christmas when I walk up the road to visit relatives I will remember the many other times I walked that route. I’ll remember the gaily decorated evergreen tree in her living room; the sometimes unbearable heat from her kitchen wood stove; the mouth-watering smell of home-made bread; hugs that could have come from someone twice her size; and her parting words, “Now, make sure you come back again.” In the midst of such fond memories it will be a little sombre not to see her welcoming light at the end of the harbour, especially at Christmas time. Love the “Alice” story and coming from an outport, I can visualize some of the same smells. My mom’s fruit cake, my dad’s bread, and the lamps in the window. My parents going mummering (which as a 5 year-old) looked a little weird to me. Oh those memories. Thanks for the lovely memories. Just read your article about Aunt Alice. I was doing fine until I got to the part about the Christmas cake, then the tears came. Every year when we went down at Christmas she would always have a fully decorated one left on our counter. I will miss her this year but I am truly grateful for the memories I have of her and Fred. Thank you for taking me back to some of them today and God love you for posting the story. Just found this site and reminded me of the last time I visited there to see Alice, Patricia my mothers sisters and great aunts Gen and Win, Alex you have done them all we’ll with your story, plan on being there this year, hope to see you then. was born in St. Jacques, raised in English Harbour West & died in North Sydney. 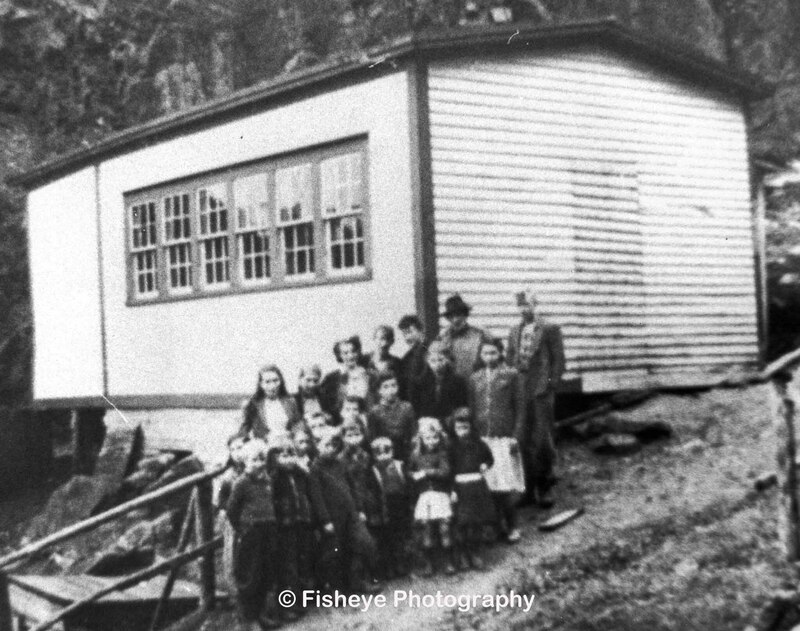 I have been searching for years to find connections with my Farrell relatives in the Fortune Bay area and my mothers Farrell connections in Marystown. Imagine having both parents with the last name and still not able to connect the dots…. Send me an email to discuss possible links to yours Farrells. My GG Grandfatgerwas a Farrell from Bay Du Nord and St Jacques. I just realized from the 1921 census that my dad, Samuel Farrell was born in English Harbour West but raised in ST. JACQUES. He and my Uncle Daniel were among the 141 residents listed in the St. Jacques 1921 census. Loved reading this. Had never seen it before and it brought back some great memories of growing up in Bay du Nord. Alice was my godmother and her brother Kevin was my godfather. We visited St. Jacques in 2010 and stopped at Theresa’s and Pat’s it was so lovely to see them and they were so welcoming. We visited the church there, which was floated out from Bay du Nord. It was the first time I had seen it since we moved away from home in 1963. My Farrell was my very first, and the most memorable teacher I have ever had the privilege of knowing.